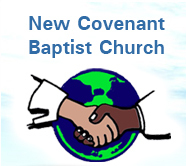 In 1982, Bishop Simeon Hall along with 32 other believers started New Covenant Baptist Church. Since then, the church and its ministry has experienced tremendous growth, spiritually and numerically. Through the years the church has moved from its starting place, in an old store front seating 120, to a tent seating 300 and now to a beautiful structure that seats 1200 people comfortably. The church through its ministry and its strong conviction of evangelism has been making a lasting impact on not only its church members, but the greater Bahamian community for over 20 years.